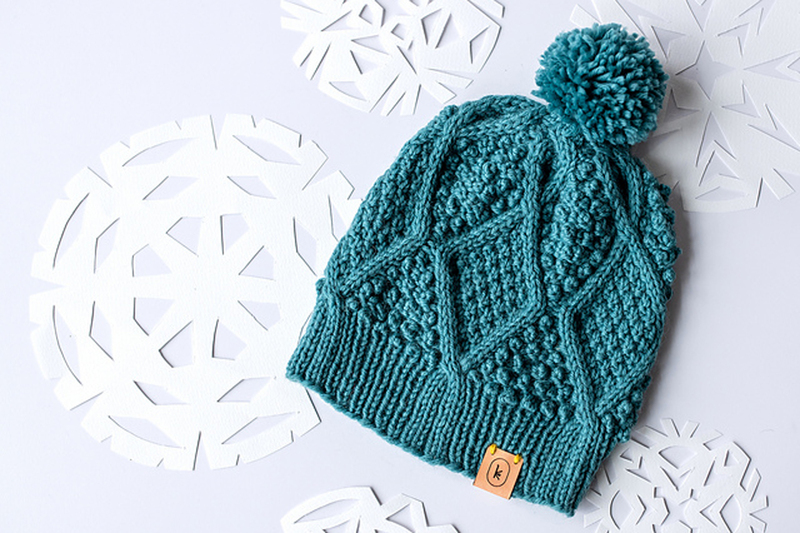 This design is available for purchase from the Kelbourne Woolen's Ravelry Store - The January Hat features integrated ribbing, large diamond cables, and many, many delightful bobbles. 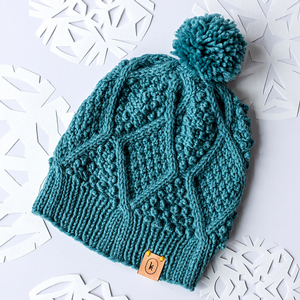 Topped off with an adorable pompom, this hat is not only interesting, but fun too! 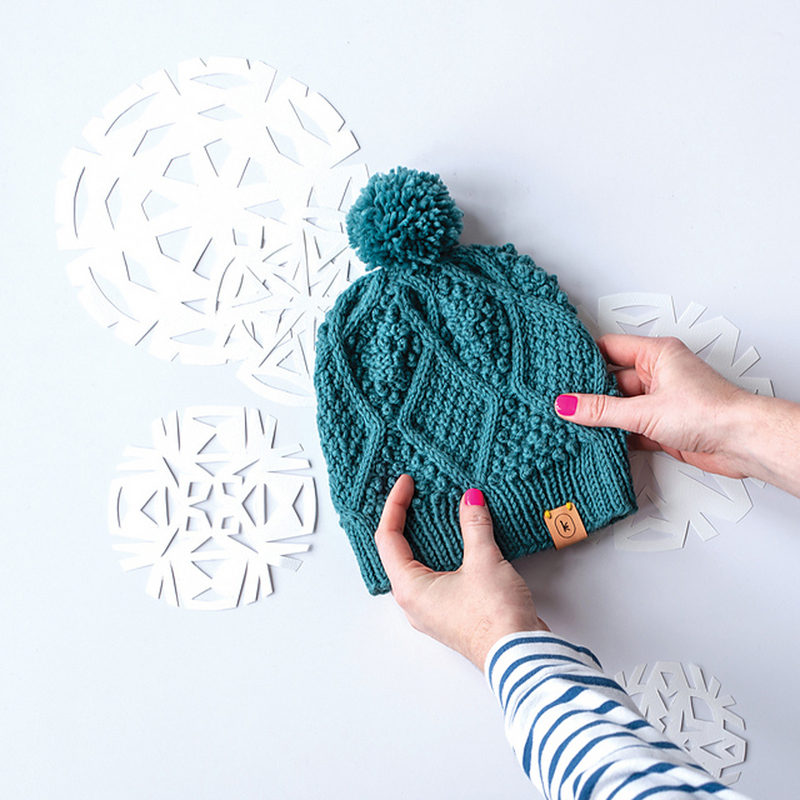 This will be your new go-to beanie pattern, when friends and family ask you for a gifted beanie! This design is available for purchase from the Kelbourne Woolens Ravelry Store. Remember to purchase the pattern by following the link provided on this page, as it will not be shipped with the yarn. Size US 6 - 16" and US 7 -16" circular needles needles (or size needed to obtain gauge) and US 7 double point needles are required but not included. Notions required but not included: darning needle, stitch marker(s), and 2 cable needles. Finished Measurements: 16.25"circumference, unstretched, 8.75" height, after blocking. 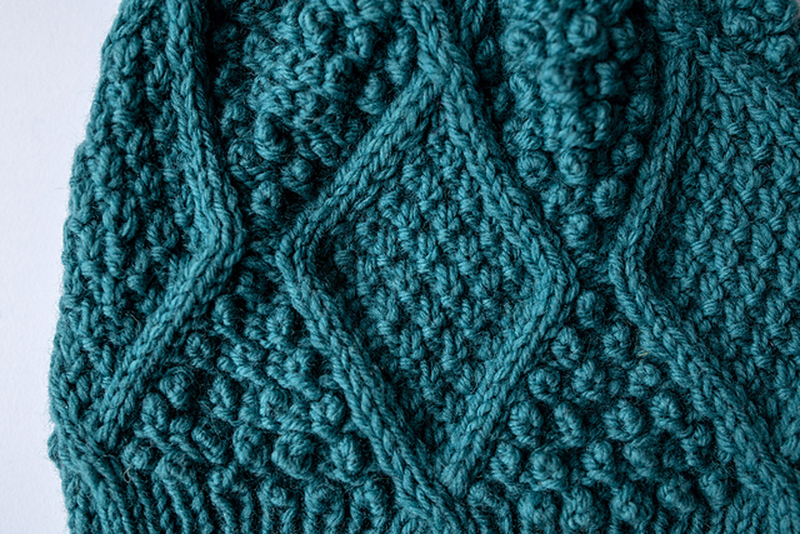 Gauge: 1 patt repeat (18 sts and 28 rnds) = 3.25" wide and 4.75" long, after blocking. $14.00 -- Kit price including yarn only (no book or pattern).